Licensed practical nurses play an important role in patient care. These trained professionals provide bedside care to persons who are sick, chronically ill, or injured. 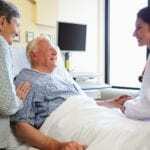 They work in many different healthcare settings, including hospitals, long-term care facilities, physicians’ offices, mental health facilities, clinics, and patients’ homes. LPNs work under the direction of a registered nurse (RN) and other licensed health professionals. In Michigan, the Board of Nursing defines the scope of practice for LPNs, which includes any task for which they’re trained that does not require a professional judgment call or independent decision-making. LPNs perform tasks such as administering medication, taking vital signs, feeding patients, collecting samples, providing wound care, supervising nursing assistants, and assisting patients with personal hygiene. Those who complete special training may participate in IV therapy or provide for the needs of geriatric patients in long-term care facilities. There are numerous benefits of pursuing a career as an LPN, but one of the key advantages is the ability to train and obtain a license to practice in just one year. LPNs, through continuous interactions with patients, can make a huge difference in their progress to recovery. 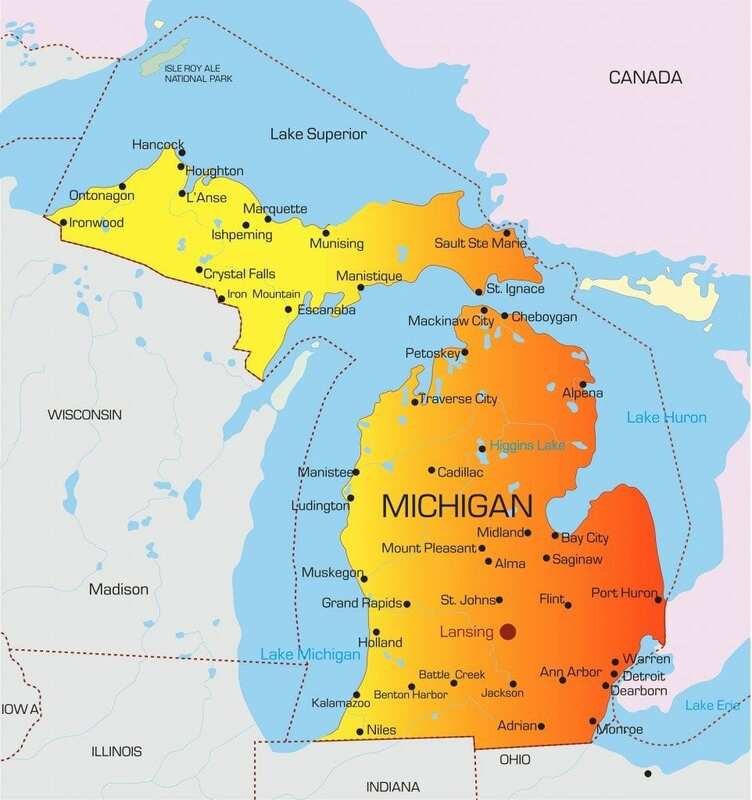 Michigan approves the nursing schools operating within its borders. The Michigan Board of Nursing periodically updates its list of approved nursing programs. As a prospective student, you should review the list of Board-approved programs and select accordingly. Attending a training program not approved by the Board could pose complications when applying for state licensure. Most programs are accredited by the Accreditation Commission for Education in Nursing (ACEN) or the Commission on Collegiate Nursing Education (CCNE), which simplifies the process of transferring between states or pursuing higher degrees in nursing. Michigan Board of Nursing accredited providers supply students with the relevant didactic theory and hands-on skills needed to function in their career as a practical nurse. The intensive curriculum covers all the areas students need to survive the ever-changing field of nursing. Key areas include the fundamental principles of nursing, the nursing process, and caring for patients with an emphasis on patient safety. During the clinical rotations, students benefit from the opportunity to practice their skills in a real-world setting. The ethical and legal responsibilities of practical nurses in relation to the health care facilities, patients, and co-workers are also a critical component of all state-approved training programs. Additionally, the principles of effective communication and professionalism on the job, are essential to producing well-rounded graduates who can fit in with other medical professionals. Prerequisites for entry depend on the school but may include a high school diploma or GED, immunization, CPR, liability insurance, two letters of recommendation and a personal interview. Applicants may also need to pass a criminal background check, drug screen, physical exam, TB test, and an entrance exam. Graduates are eligible to apply for licensure in Michigan after successfully passing the National Council Licensure Exam (NCLEX-PN) to become a licensed practice nurse. Duration and Cost of Training: Michigan’s community colleges, universities, vocational schools, and private institutions train LPN students from 45 weeks to one year in order to meet the Board’s training requirements. The actual duration of the programs depends on whether the student attends full-time or part-time, and the credential earned at the end of training. Tuition is as varied as the course duration. However, the average cost of training is $9000 for tuition and other expenses, such as textbooks, course materials, uniform, clinical supplies, insurance, and administration costs. You can register for the NCLEX by mail, telephone, or the Internet. To register by mail, you need to complete the registration form and mail a certified check or money order to Pearson Professional Testing (PPT). For quick and convenient registration, you can submit your application online at www.vue.com/nclex and pay the $200 registration fee with a credit card. Another convenient method of registration is over the telephone, which also requires credit card payment. The Board of Nursing, through the Bureau of Health Care Services, will review your application and supporting documents, and determine your eligibility to take the exam. If the Board approves your submission, they will notify PPT to send the Authorization to Test (ATT) letter detailing the instructions for scheduling a convenient date, location and time to take the exam. Note that the ATT is valid for 90 days only, so you must schedule the test in the allocated timeframe. Failure to take the test within that period will require another registration, including another registration fee. It is recommended that you review the NCLEX bulletin for details on preparing for the exam. Remember to take the ATT letter and a valid form of picture ID to the testing center. The Board will mail your licensure within 4 to 8 weeks if you pass the exam or send a breakdown of your scores if you fail. Michigan’s nurses must submit an application for licensure along with the appropriate fee before taking up employment. Register to take the NCLEX-PN with Pearson Professional Testing (PPT) at the same time you submit your application for licensure. The Michigan Board of Nursing will determine your eligibility to take the exam and PPT will send the Authorization to Test (ATT) with instructions for scheduling the test date. You must take the exam within 90 days of the ATT date. All applicants must undergo a Criminal Background Check before the MBON administers a license to work. United States graduate applicants must contact the Board-approved nursing school and request that they submit a Michigan Nursing School Certification Form directly to the Board of Nursing. Out-of-state graduates should place a request for official transcripts to go directly to the Board of Nursing. The transcripts should indicate the graduation date and credential earned. Review the instructions and complete the application in full. Enclose the non-refundable application fee of $54 using a check or money order made payable to the State of Michigan. Enter your email address – it is a quick way for the Board to communicate information relating to your application. List your social security number – US SSN only. Respond to all the personal data questions. If you provide a “yes” response to any questions, you must provide a detailed explanation on a separate sheet. Your application will be considered incomplete without the explanation. List all states where you hold/held an LPN license. Sign and date the application and mail to the Board address provided below. The application form, fee and supporting documents will remain open for three years from the initial submission. The application will, thereafter, become invalid. You must take the NCLEX-PN at least once within two years of graduating from an approved nursing program. If you fail to pass the NCLEX-PN within 12 months of your first attempt, you must complete a PN exam review course and submit proof of having completed such a program. If you pass the exam, the Board will issue your license, but not the exam scores. The Board will send a breakdown of the scores if you fail the exam. If you have a current license, from another state with licensure requirements that are similar to those required in Michigan, you can apply for licensure through endorsement. Endorsement applies ONLY if you’re previously taken the NCLEX or SBTPE for licensure in another state. As part of the endorsement process, you must complete a criminal background check and arrange for verification of your license to go directly to the Michigan Board of Nursing. Use the application for endorsement if you’re currently licensed in another state. Enclose the $54 application fee using a check or money order payable to the State of Michigan. List your email address for fast and efficient communication with the Board. Attach a detailed explanation for every “yes” response to the Personal Data questions. Arrange for verification of your licensure to go directly to the Michigan Board of Nursing from all states where you currently hold licensure. If your current state of licensure uses Nursys verification, you can register over the phone or online for verification of your license. Sign and date the application. Note: By signing the application you authorize the Board to secure a criminal conviction history as part of the process for licensure. The Board may also obtain information related to any disciplinary investigations conducted by agencies in other states. The application, fee, and accompanying documents will remain valid for up to two years after initial submission. You’re not eligible for licensure in Michigan if there are current disciplinary sanctions on your license from another state. The Board processes applications in the order they’re received. An application can take up to 6 weeks for processing after the Board receives all required documents. The license is valid until the end of the LPN renewal cycle, which has a renewal date of March 31st. Thereafter, your license will cover a full two-year cycle. There will be no continuing education requirements during the partial licensure cycle. However, you must complete 25 hours of board-sanctioned continuing education credits for every subsequent cycle. One of the 25 hours must cover training in pain and pain symptom management. You must maintain copies of your continuing education certification for up to one year after completion to present during random Board audits. The Board sends out renewal information to all license holders 45 to 60 days prior to the expiration date. The online system does not support early renewal (i.e. attempts to renew before the notification). Make sure to notify the Department in writing of changes in your address. It is your responsibility to renew on time – using the online license renewal or submitting the request through the mail. There is a 60-day grace period to submit your application and fee for renewal. Applications submitted after the 60-day period will result in a $20 late fee for reinstatement of the license. The outlook for career options and earnings in the field of nursing couldn’t be any better than it is right now. With a projected growth of 25% from 2012 to 2022 (according to the Bureau of Labor Statistics), the future is equally bright for practical nurses. In Michigan, practical nurses are among the most in-demand careers as nursing homes and hospitals seek professional staff to care for the medical needs of the growing population. 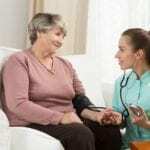 The number of people ages 65 and over places a huge challenge on the health care system, which requires additional nursing facilities to manage frequent or ongoing medical needs. While there are demands for LPNs in numerous sectors, the greatest need is in extended care facilities. Many LPNs, through ongoing training, provide specialized services in home health care settings, nursing homes, and hospices. The median salary for LPNs in Michigan is $43,100 annually plus employer benefits. The median income exceeds the national median income for LPNs, which stands at $41,500. Professionals in Detroit, Warren, and other metropolitan areas earn as much as $48,000 annually plus employer benefits. 650 W Easterday Ave, Sault Ste. Kalamazoo community college doesn’t have a waiting list at all in their nursing program. I am on it. Thanks love.